Our biggest & best market yet! 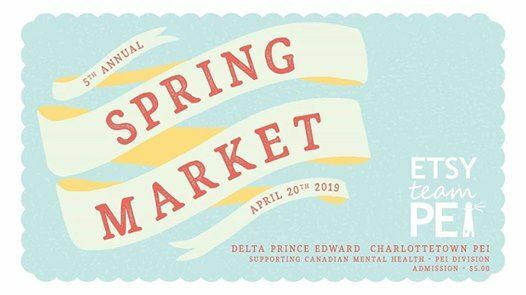 Shop from over 115 local Etsy sellers on Saturday, April 20th from 10am-5pm at the Delta Hotels by Marriott Prince Edward in downtown Charlottetown. Admission is $5 in support of Canadian Mental Health Association, PEI Division Kids 12 & under are free! From jewelers to wood workers, soap makers to clothing designers along with lots of tasty food vendors. There will be something for everyone! 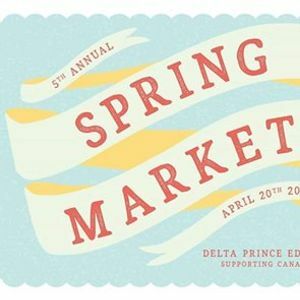 Maritime Makers section returns with Etsy sellers from the Maritime provinces along with over 30 newbie vendors. Lots of new makers to discover from the maritime provinces who will be here for ONE day only. Live music, door prizes & Free SWAG Bags for the first 15 shoppers. See you there!